We’ve mentioned it before and we’ll mention it again, Denver is the hottest housing market in the nation! This means that there are so many qualified people vying to become homeowners that they are buying less than stellar homes for more than they would care to admit. So, how can a budget-busting fixer-upper become a dream home without breaking the bank? In this article, we are going to focus on taking inspiration from something you will likely see many of these homes, wood paneling, and provide some replacement alternatives for your Colorado home. This style is becoming more and more popular as anyone with a “home design” Pinterest board will testify. But, it makes complete sense why so many people love this design! The concept is extremely flexible, both in budget and in style . If you’re a do-it-yourselfer on a budget, properly refurbished pallet boards can be repurposed into a beautiful accent wall; or, if you are looking for something more upscale, beautiful hardwoods like oak, cherry, or mahogany can be installed to match the rest of the home’s design. 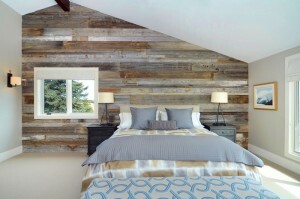 Reclaimed wood paneling also lends itself to many home styles; driftwood boards are beautiful in beach homes, reclaimed pallet boards can provide a little flavor to a modern or contemporary house, and boards made from beetle-kill trees is an interesting way to spruce up a mountain cabin. We also suggest reusing wood from something that has history, if you have access to an old barn or you are replacing the dock in front of your lake house, you can install an interesting story or two into your home while saving a pretty penny by reusing the assets already at your disposal. These styles of paneling look very similar, but differ in how the panels connect to one and other. Shiplap panels are connected by a rabbet joint, which looks similar to a set of 2 stairs and fits tightly together to create a waterproof seal, hence the term “SHIP-lap.” In tongue and groove paneling, like the name suggests, each board sits on top of another and the “tongue” of one board fits into the groove of another creating an overlapping style, instead of the flush style of the Shiplap paneling. Both of these styles are used for a home’s interior and exterior, notably, tongue and groove is better at protecting a home against the elements. 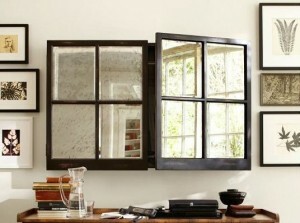 This style is more informal for an interior and works well in a cottage home, beach house, or cabin. If you like this style, but are on a budget, shiplap traditionally costs less than tongue and groove. 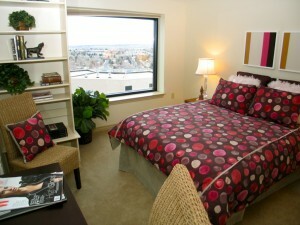 Flat panels, as you would imagine, use large flat panels to decorate the walls of a room. 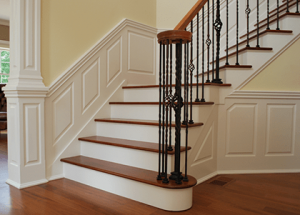 This is the style into which you would classify wainscoting and other higher-end paneling. Flat Paneling is typically more expensive because the single boards are larger, harder to make, and are often more elegantly styled. 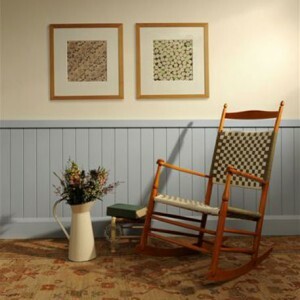 However, many houses with wainscoting use beadboard as a beautiful and significantly more affordable alternative. If you’re stuck with the old, dark, 1970’s wood paneling and are looking to upgrade to something a little more modern, we would love to help. Contact us to set up a consultation and our design experts can provide some great direction on what type of paneling would complement your home, as well as what kind of furniture and accessories would accentuate your new walls. Like all things in fashion, styles and trends come and go and come back again. But just because something is the new big thing, it doesn’t mean that it works for every unique variety of house. In this blog post, we are going to discuss the importance of design limitations in relation to the architectural style of your house. Obviously, the first step to redesigning a home while keeping the existing foundation in mind is knowing the architectural style of your home. At this point, you may be panicking because you’re not sure what kind of home you have. Never fear! 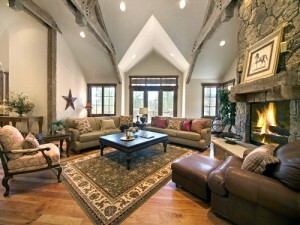 Since Staging Denver designs the interiors of homes, we have provided a link to a nifty gallery of “26 Popular Architectural Home Styles” courtesy of DIYNetwork.com. As you may be able to tell after perusing the article, if you have an Art Deco or Mid-Century Modern exterior, you probably don’t want to fill it with Victorian- and Colonial-style furniture. You would be mixing clean lines with intricately detailed patterns that will likely complicate and mismatch the original intention of your intended home design. The same is true if you walk into a Craftsman-style home only to see Contemporary décor. While individually, both can be executed very well, but together, something will probably just feel off. Although, crossing genres isn’t impossible; however, it’s usually best left up to the professionals. If you are redesigning your own home, it’s best to just choose a theme for your interior that complements the curb appeal of your home. For example, just because Open Concept Designs are currently popular, it doesn’t mean that you should knock out a wall in your 80 year old farmhouse and install a granite countertop. 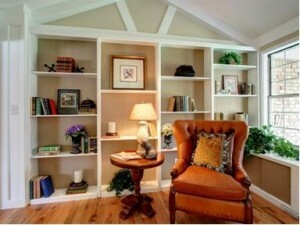 Instead, play to the existing strengths of the building and choose furniture that feels warm and inviting. An old farmhouse is the perfect place to implement a sophisticated rustic design that utilizes beautiful antiques and meaningful heirlooms. 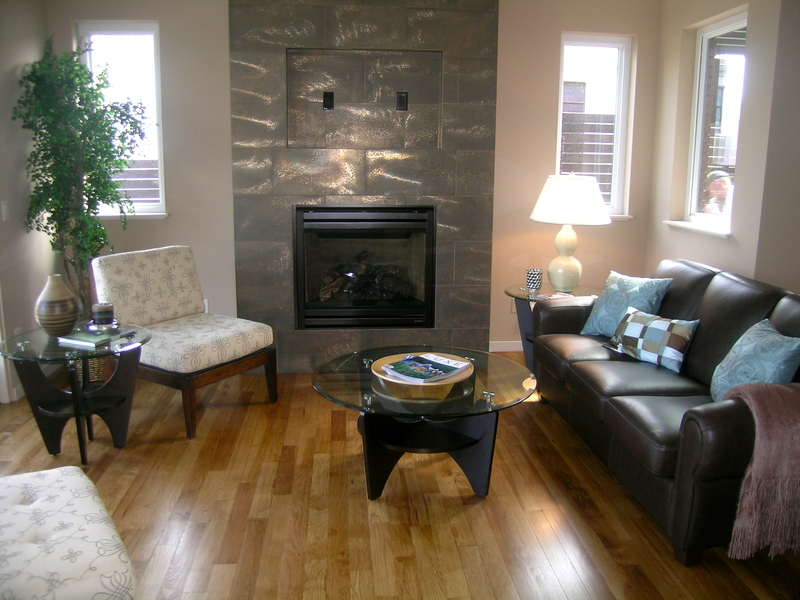 If you are planning a redesign or staging for your home, give us a call or shoot us an email. We are always excited to schedule a consultation and tackle a new challenge. It’s true, most of our time is spent staging homes to sell for top dollar. We work hard to make sure that each facet of your home appeals to potential buyers, increasing the offers sellers receive. However, what if you are completely happy remaining in your home for years to come? How can you benefit from our expertise? Of course, you can follow our blog for tips and tricks to organizing and designing your home, but you may not be happy with your end result if you commit to a piecewise redesign that takes place over the course of a few years or more. Instead, if you feel like the design and layout of your home is tired, outdated, or just needs a bit of a change, we recommend that you contact us about getting a redesign. Much like a staging, we set up a consultation to get an idea of your style preferences, look over some options, and develop a design. After the meeting, we will work up some options present them to you before finally implementing the final design. After making you fall in love with your home again, you can continue to update and maintain the new design by following this blog each week and employing some of the ideas and habits that we discuss. If you think that it’s time for your home to get a makeover, contact us today! 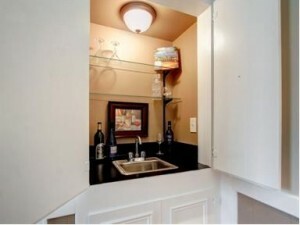 Staging to Sell: How Much Stuff is Too Much? We have almost 20 years in the home staging industry; during this time, we have found dozens if not hundreds of ways for sellers to increase the value of their home without ever having to call a contractor. 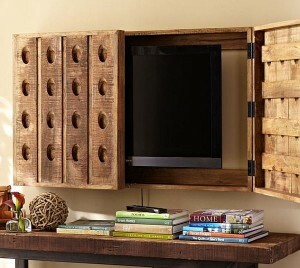 In this blog post, we will be focusing on a couple of easy and inexpensive ways to accent the areas of your house to show off its storage capacity and spaciousness. Life has a way of making it easy to let the clutter pile up or allow well organized spaces erode into disarray as the days pass. When selling, you will need to stay vigilant and keep everything tidy and in its place. During this period, adopt the mantra “If it takes less than 5 minutes to do, do it now.” This will encourage you to develop the habit of maintaining the immaculate condition of your home. Continuing to do this throughout the sales process will help your house to appear livable, not lived-in, and that is what buyers want to see. Storage Sh ould Remain Half Empty. Whether it’s your closets or cabinets, shelves or sheds, you need to flaunt the holding capacity without cramming too much into a space. In your closets, take out half or more of your clothes and space out the remaining clothes evenly providing an open and spacious energy that makes the closet seem larger. This process works the same in your kitchen cabinets, book shelves, and even the backyard shed. Order and organization streamline storage and maximize the amount a surface can hold, making each surface appear larger, aesthetically pleasing, and more valuable. Keep following our blog for more helpful hints and tips to sell your home for top dollar. Contact us any time for a consultation or redesign. Have you ever walked into an open house, looked around, and thought to yourself, “The space is nice, but there is something off?” In Denver’s hot housing market, as a home seller it is easy to assume the attitude that “The house will sell, and it will sell for a lot more than we paid for it. We don’t need to do any work, let the buyers deal with it.” Often times, these sellers aren’t wrong, but “more than we paid for it” is not the same as “as much as we could make from it.” It’s up to you as a seller to decide that your home is an investment and that you want to get the highest return on it that you can, but once you do, it is our job as the best home staging company in Colorado to put our money where our mouth is and help express the beauty of your home in a more obvious way. 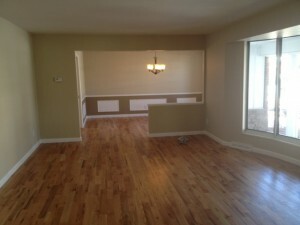 If you are selling a house, you know all of the less-than-impressive aspects of your home. It’s worth investing a little time and money to fix up some of the off-putting aspects of a house, knowing that you are raising the value of your home. This may include cleaning and fixing gutters, doing a little light landscaping, or adding crown molding, but often it means providing a bit of a makeover to one or two of the rooms to show off their potential, instead of their limitations. You may have your home arranged in the way that best served your family’s needs, but remember, you are looking to sell your home for a reason. The best arrangement for your family may not be ideal for the audience looking to buy your home. 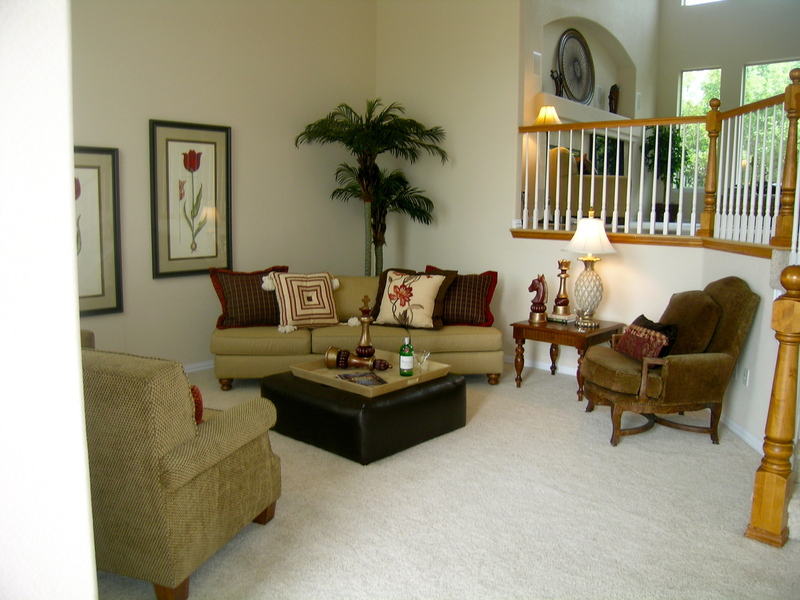 For example, if you are selling your house because your family has grown and you need more space, maybe you should take your sectional and replace it with a loveseat to remove the claustrophobic feeling that a lot of rooms give off when they are too cluttered. In the same way, if you are an empty nester and are looking to downsize your home, make sure that your furniture doesn’t appear as islands in a vast sea of open space. When staging a home, the furniture should create a flow that makes a home feel open, but not lonely. 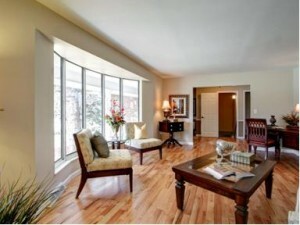 Creating flow will also help your realtor conduct an effective and efficient open house. It will keep visitors from getting in each other’s way and create a queue that will allow the realtor to address each group visitors in an organized fashion. 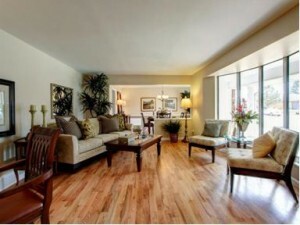 Home staging is all about making the people who don’t live there feel at home. 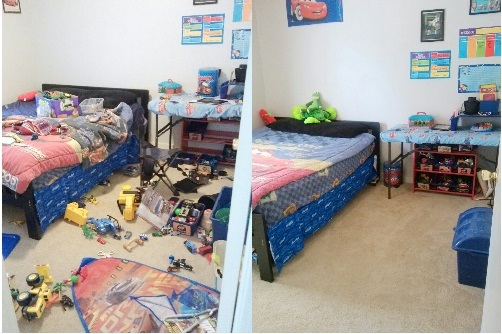 Unfortunately, when sellers stage their own home, it is already that, home. It takes a stranger with an eye for detail and a warehouse full of furniture and props to truly bring out the potential of a space. That is why we have listed a few small suggestions that can make a big impact on the sale price of a home. If you are a homeowner selling a house, you probably exist in one of two worlds; either you are living in your home and everything is as you have had it for year or you have packed up and everything is bare. Either way, your shelving and cabinets are probably an eyesore. Start by removing everything from your shelves, cabinets and cupboards; then, choose simple pieces, sophisticated books, and any high-brow collections you may have. Start populating your shelves sparingly; do not crowd your shelves. 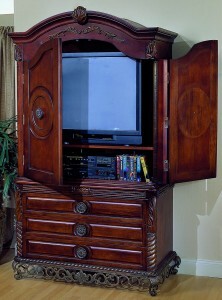 This will open up the room and show the storage potential without looking deserted. As for your cabinets and cupboards, try placing some of the larger cabinets with appropriate dishware or maybe even a cereal box or two to accentuate the storage capacity. 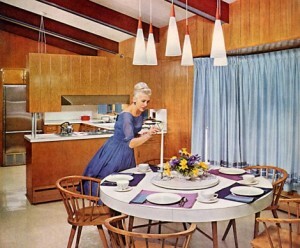 Maybe you were able to imagine yourself cooking dinner in the kitchen or watching a movie in the living room. If so, you possess a great skill; however, many people are unable to envision an empty home as anything more than a blank space. Buyers want to fall in love with a house before they buy it, meaning they picture themselves eating dinner at a big table, feeling the heat from the fireplace on a cold day, and reading a book in a quiet nook. 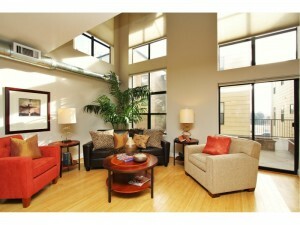 Home staging is the processes of giving those potential buyers the opportunity to experience real life in that house. It is more than plopping furniture into a few key rooms, instead, a well-staged home should accent the natural poetry of a space. The little touches, like a book on the bed or pictures over the mantle, should prompt the buyers to write a story about this make-believe family in their heads as they move from room to room. Ideally, the home should make buyers envious of this family in the story they have created. An envy that fuels the desire to be the family in the beautiful house.